There are 10 new Stories in the Members Area>Stories for the author Aborigen. Incredibly well written and descriptive, these stories are also rich in multi-cultural knowledge elements. Each author has a page with a list of his story titles. Each title links to the full text Story. 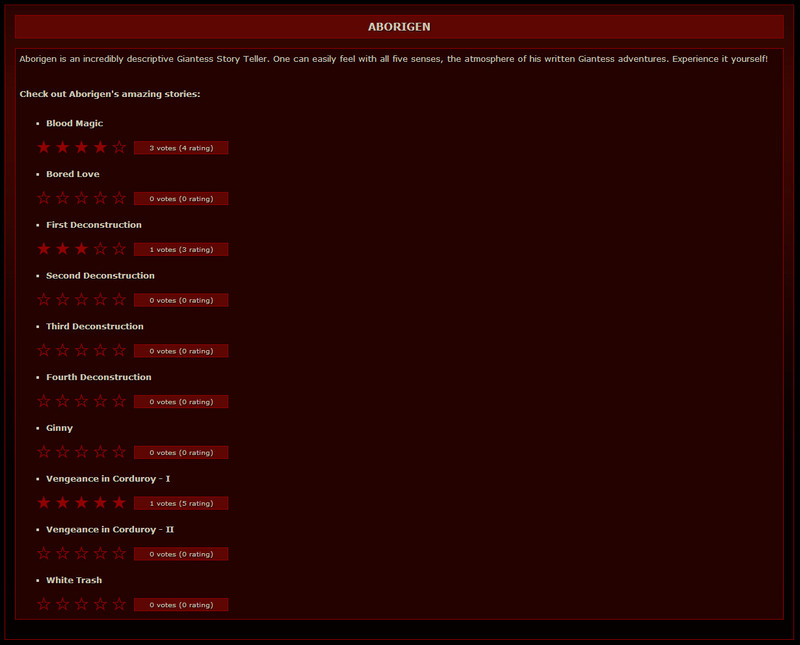 A great Rating System has also been implemented so you may vote and see how other members have voted each story.